What's the difference between a house and a home? A house is a structure you live in that provides for your basic needs and safety. A home is a place that provides you mental and emotional support, a place you look forward to, to get away from the outside world. Do you feel that way about your home? Nothing beats coming home to a place full of fun, love and laughter. The more happiness and laughter that enters your house, the more it is going to feel like a home. Even if it's not your ideal space, you can start to appreciate it and make it work for you and stay connected to what matters most. Phones and internet connect us to people around the world and have connected people together. It has helped us widened our view on things and made information more accessible with a click of a button. Technology makes life easier and has saved lives through technological medical advances. One might think we are becoming too dependent on technology and I agree, but that may not always be a bad thing. This is the way of the future, it is where our world has evolved to. From my personal experience, I can speak to the simplicity of staying connected using technology. Being thousands of miles away from each other, staying connected with my mother, sister and brother still maintain close relationships through various means such as keeping in touch with each other on social media, and also to visit and assist my brother's new blog http://swankcandy.com/. It is important for me to have a fast and high speed broadband internet connection and with PLDT Home DSL using the latest next generation network technology, PLDT Home DSL deliver up to 10 Mbps and with plans that are budget friendly bundled with a landline. You can also start a family movie night to bring your family together with the help of Fibr. Home's broadband fiber-optic service that can stream up to 20 free movies per month. Home broadband PLDT Home DSL. Have you seen this TVC from PLDT Home? I really enjoyed watching the TVC from PLDT home; it proves that home is not just a solid structure but a connection to loved ones whether they are near or far. When a family is in perfect harmony, all things can be accomplished. PLDT has been a household brand for decades by providing us more ways to connect with the family in giving us a #ConnectedHome and unlimited sharing all the time. The strongest connections are at home, so visit http://pldthome.com/connectedhome to get your family connected today! You can also build your #ConnectedHome with your family photos and Get a chance to win a #ConnectedHome Makeover! I hope to see your entries too. and create your cover photo via Connected Home app! i had joined this contest too and yes pldt bring family more closer,just like me,im more now connected with my father and husband working as an ofw,i can talk and see them thru internet everyday,it feels like they are my side always. AS I READ YOUR BLOG I CAN SEE HOW HAPPY YOU ARE AND HOW CONNECTED YOU ARE WITH YOUR FAMILY. YOU HAVE AN INTACT FAMILY BOND. I TOTALLY AGREE WITH YOU BECAUSE I AM USING PLDT HOME DSL. FASTER NET CONNECTION IN THIS WE MAY ABLE TO BOND, CHAT AND CONNECT WITH OUR RELATIVES ABROAD. THEY SEEMS TO BE NEAR YET THEY ARE FAR FROM US. STAY PRETTY MS. ROCHELLE RIVERA. GODBLESS! It has been 4 years since I left Davao, my hometown. I moved to Metro Manila in search of a new life (moved on from a heartbreak in 2009) and started with a new job with PLDT. (what a coincidence?!) Anyway, PLDT made that big change in my life successful. Made me connect with thr family I left behind. We see to it that i do video calling with my mom and facebook chat with my cousins. Even if im not physically present, i am part of celebrations because they upload videos that i can watch online. It is technologies greatest gift that you can see and interact with family real timr through PLDT internet connection and I will always be thankful for that. even how much I wanted to join their contest, I am not a PLDT user, though I definitely agree that PLDT can provide the fastest internet connection among others.Once I transfer into our new house maybe I would change my internet to PLDT. The first paragraph of this blog really touches my heart. I remember all those times when my teacher in high school always reminds us about the difference of home form house. With your explanation, I salute you and most especially the one who gave the best meaning for those two words. Kilalang kilala na po ang PLDT for bringing a worldwide connection among people. Sapat ng dahilan ang pagbibigay nila ng great deals for their customers para lubusang magbigay ng tiwala ang isa't isa -- the company(producer) and the customer. My family really wants to avail PLDT's internet but sad to say, wala pang available na PLDT dito sa lugar namin. Hindi lang sa family, pero maging ang Wi-Fi sa school namin ay from PLDT . I remember what my dean told us : "NakaPLDT tayo students and I am glad to tell you na parang kasing lakas ng internet ng SM ang naibibigay ng PLDT dito lang sa school natin." That is a good example para talaga namang mabighani ako sa naibibigay na service ng PLDT. About dun sa connection and internet world. I agree with your opinion na talaga namang parte na po ng buhay natin ang technology. And yes nagiging dependent na rin talaga tayo sa web to the point na minsan, wala ng use ang libraries and books. Pero I believe na nasa tao po yan, whether aabusuhin nila ang paggamit ng gadgets with internet or isasabuhay pa rin nila ang essence ng physical na paggawa ng mga gawain, kagaya ng paggamit ng library at mga reference nito. And to make this comment short, hahha short pa ba ito ? Well,the most important point here is that dapat lagi tayong nakasisiguro sa mga pagkakatiwalaan nating companies who will help us to communicate well with our love ones. Dahil wala ng mas sasaya pa sa pakiramdam na lagi kayong may komunikasyon ng mga taong mahal mo, malayo man o malapit sila sayo. I wanted to be a PLDT subscriber...and change our net and phone plan...unfortunately though, it doesn't have yet an access to our village. Hope they can remedy that soon cause honestly, I am getting fed up with what I am using right now. Getting connected is really important. Although my family are here with me now, unlike before that we are at different ends of Luzon, I still need to be connected to them in terms of emergency or important notifications. Most of the time, even text messages doesn't get through. Even though na busy sila ni nanay, we can communicate with them pa rin. Kumbaga eh, nagawa pa rin talaga kami ng paraan to make them feel loved at mabawasan yung stress na nararamdaman nila. Sometimes, pag may problems talaga, I love how my parents respond to us. Na makikita mo talaga yung communication at our eyes and heart because they will listen to us carefully and encourage us to have a positive outlook in life. I guess i really can't find a word to say, because all i have in mind is that I firmly agree all the ideas you've shared on this post. The content of this post shows how grateful you are of your family, how important they are and how you keep them more closer to you through having a great connection to each other. And indeed, connection really does a big part of our relationship to our families and loved ones. Because without it, there would be no way to communicate with them, specially to those who are far from us and in times when we are the only ones who are capable to be there on their sides when they need someone. I STRONGLY AGREE WITH WHAT YOU HAVE SAID. IN WHAT I HAVE READ FROM YOUR BLOG YOU HAVE A CLOSE FAMILY TIES AND GOOD RELATIONSHIP WITH ONE ANOTHER. I AGREE, A HOME IS BUILD WITH LOVE & FAMILY MAKES A HOME. YOU CAN EASILY BUILD A HOUSE BUT IT TAKES FOREVER TO BUILD A HOME. AND WITH THE HELP OF PLDT IT HELP US BUILD A STRONG FAMILY AND ALWAYS BE CONNECTED WITH THEM. FASTER & STRONG CONNECTION IS THE MOST IMPORTANT KEY TO STAY CONNECTION, THIS IS WELL PROVIDED BY PLDT AND I'M RELIABLY CONNECTED WITH MY FAMILY EVERYDAY. CAN I TAKE THIS OPPORTUNITY TO SAY THANK YOU AND KEEP UP THE GOOD WORK! FAMILY PLUS HOME PLUS PLDT EQUALS CONNECTION. Happiness starts at home. As a family, we should give time to connect to each other by playing together, eating together and enjoy each other. It doesnt necessarily mean you need to have same interests to be able to have a successful bonding. Better understanding with each other and love opens the door to a happy family. Ofcourse, the parents should set examples. One great way on how we connect is watching movies together in the bedroom before we sleep. When my nieces come to visit us, my son together with his cousins play online games and thats how they grow closer, sharing same activities together. We also maintain good communication with hubby's family and my sissies. We connect through facebook, share endless pictures and stories. Its great how technology could make it so much easier for people to grow closer regardless the distance, near or far from each other. I wonder how it's gonna be on the next decade, because I am pretty sure they gonna be working for more improvement on how to make every lives easier to connect..
What really makes a house a home? It's the connection you have with your family, it's the bonding and the joy you felt with them. You'll really say, "I'm home :)" so, with the help of the fastest internet connection which is the PLDT, whenever and wherever, you can stay connected with your family and you'll also feel YOU'RE HOME. It gives us unlimited bonding and unlimited happiness. PLDT don't only make us connected by means of communication but it also connects hearts. I try to join at PLDT too but Its too slow to Proceess but since you join in the Promo i will just support you Miss Rochelle..I see you have an almost Perfect Family..and i really admire your being cool mom and you mantain your figure same as active in your blog..i really admire you.. I just love posts that talks about family and stuff its nice to hear other people's stories in how they keep their bonding together all I can say is the generation nowadays is very different compared to what my mother used to tell me before they did not have technologies and other stuff to stay connected but still they find ways so that they could still interact despite the busy schedule and other stuff to do, I am just thankful that technology paved the way to help the family build their relationship. Some people say that technology is not that good and it may be harmful to us but it is the other way around we can make technology beneficial for us just like what PLDT did they utilized the technology and viola a family is now ever closer and even more happier. 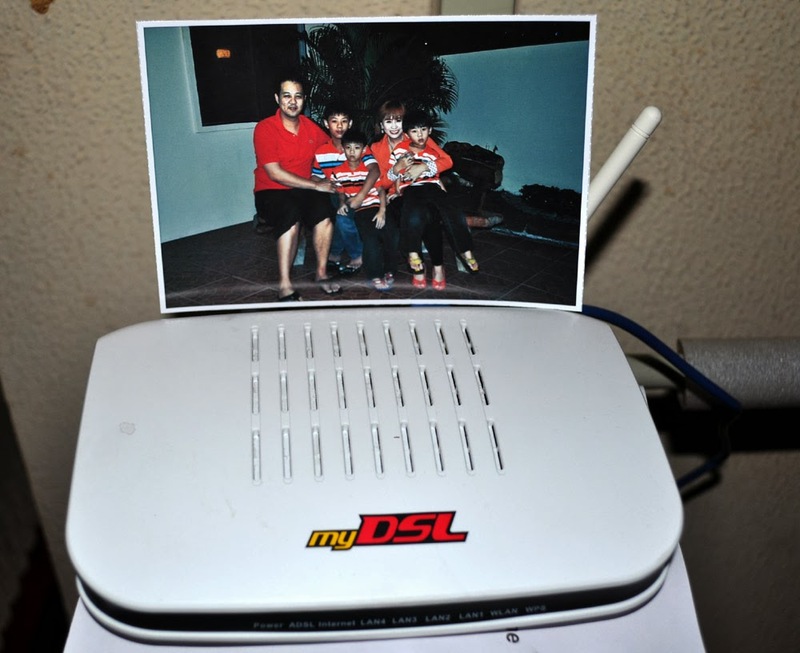 Base on my own experience technology did helped me and my family stay connected with our OFW relatives so I will salute PLDT for that and I just hope they will continue to provide the people with the best quality of connection and communication. "Communication is a vital part of our everyday lives, it is indeed part of our culture, and defines who we are, what we are, and how we are as a family"
Yes indeed!! PLDT bring families closer together. I'm a PLDT user ever since. And nothing beats with the connection it provides to us. PLDT brings me closer to my fiance' who's in California. It's really hard to catch the time for me to be connected to him, but with the help of PLDT I can choose and can manage my own time. It's like a magic that while I'm taking my dinner here in the Philippines, he's taking his breakfast in California. Isn't it AMAZING?? :) Even we don't have the same days, same time, same date, still we meet each other using the internet.